What would you like to see come to Northtown Mall? Today a few local media outlets covered the planned renovations to Northtown Mall. And, not too brag or anything but INBW already covered this story a while back. And, in addition to that coverage, the folks over at KREM 2 News created a slideshow / Facebook posting asking what businesses Spokane wants to see come to the new space, opening next year at Northtown Mall. So, I want to know, what business do YOU, the INBW reader want to see come to the mall? Or just Spokane in general? Kendall Yards continues to be Spokane's hottest new neighborhood. The condo's, homes and apartments are all running at or near sold out and there is even a lot of activity in the new commercial district that lines Summit Pkwy overlooking a stunning view of Downtown Spokane. Moving to Kendall Yards from a small shop in North Spokane is Mom's Custom Tattoo. Mom's is a tattoo studio that specializes in personal and one of a kind tattoo work along with body piercing . The business has already started construction on their storefront which will be at 1226 W. Summit Pkwy. Mom's Custom Tattoo is hoping to open at Kendall Yards in October. Monkeyboy Bicycles is a relatively new business that is locally owned and operated and is moving from 606 W. Garland Ave to their new Kendall Yards home at 1206 W. Summit Pkwy. Monkeyboy Bicycles hopes to be open in their new home by November. The business sells bicycles and biking accessories and specializes in bikes for commuting. This move should be very beneficial for the business as their new location will be basically directly on the Centennial Trail. There has also been a rumor of a Whole Foods Market coming to Kendall Yards. We've checked and the chain appears not to have a plan to locate there just yet. However the development does plan to have a grocery store at some point in the future of the site. Maybe it's because Cougs merchandise is readily available from many stores in the Spokane area but I must admit, I've always wondered why WSU had a retail store of all Cougs stuff in Downtown Seattle, but not in Spokane. But that will soon change as the university is now in process of moving into a new store, right in the heart of Downtown Spokane. 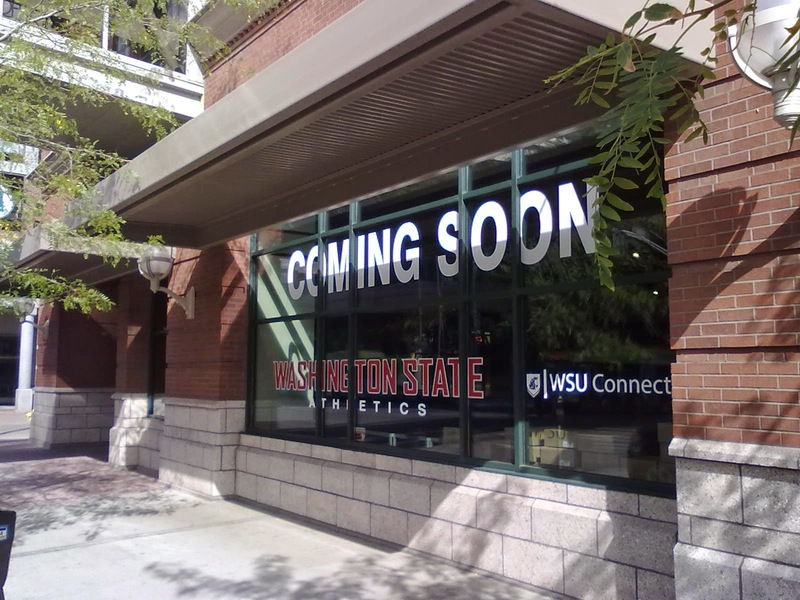 The new Downtown Spokane Washington State Connections store will be located kitty corner from the STA Plaza at the corner of Wall and Riverside ( 618 W. Riverside ). There is no set opening date just yet but we're told the store should open next month. This new store won't be exactly like the other 2 store WSU operates ( in Seattle's Rainier Square, and in Everett ) . That's because the store will be a retail shop for Coug's appeal, accessories , Cougar Gold Chesses, etc... but will also act as a ticket outlet for events on the Pullman campus, including of course, WSU athletics. Big expansion / changes coming to White Box Pies, including a new name! First off, White Box will no longer be White Box Pies as the business is becoming more of a restaurant experience and will now be called White Box Café and Bakery. And as the name would imply, the same baked goods ( they have a lot more then just pies! ) and pies will still be available however even the menu is changing. The new menu will be bigger with breakfast and specialty burgers. Also as the business points out each and every employee is trained to avoid cross contamination meaning those seeking gluten free foods or most any food allergy can fell safe dining with White Box Café and Bakery. With the new bigger menu will also be a bigger indoor dining area and even a new outdoor patio area for additional dining space. The move was made by expanding the business into a formerly empty space in the same building. The expansion, once complete will double the size of their indoor dining area. A new logo is also coming soon, all in time for the opening of the newly expanded business probably sometime next month. The business will also add a few new employees to handle the new extra demand, also the front door of the space will move from facing Sharp to facing Ruby meaning a new address. White Box's new address will be 1215 N. Ruby. Not only is White Box a local business, it's also a family business with 12 years of operation. The business was even awarded Best Sandwich in the 2014 Best of Gonzaga voting and is favorite of many both on and off the Gonzaga campus. I have personally not received confirmation of this, but some work has started and even the Inlander is reporting confirmation that David's Pizza WILL in fact be opening nearby the Spokane Arena in a building directly next to, and on the same property as the abandoned Wonder Bread factory. The Inlander says that Mark Starr, owner of the locally owned and operated restaurant, has told them that the new restaurant will open in the fall. But we have no sources saying anything about exact plans as of yet. We'll keep looking for more and post it on this site as soon as we know. David's Pizza was a landmark on the Hamilton Ave. business corridor, immediately east of Gonzaga, for a good many years, earning a very positive reputation locally. But in 2011/2012 that property was sold , with David's demolished for a shopping center that was filled for only a short time with chain restaurants. Today that center, located at 829 E. Boone, still has a couple of food service tenants but a few have already closed up shop. Although the landmark David's Pizza building has gone away, technically David's never left Spokane. The business's pizza's we're added to the menu at Famous Ed's ( 2911 E. 57th Ave. ) and we're told by Famous Ed's that those pizza's will not leave their menu when David's moves back to their own home. Also, David's Pizza has a location in the rotunda food court at Spokane International Airport, that location is after TSA security however. While not a traditional Rite Aid store with pharmacy and full store, there is a brand new Rite Aid store now open in Spokane Valley. The Rite Aid is located in suite C1301 of the health park. The new location is a full service pharmacy to fill prescriptions and does have a small selection of over the counter medications. But other then a selection of snacks and drinks it does not have the shopping options of the majority of Rite Aid stores. While this new Rite Aid is limited, Spokane, like many other cities around the country have many locations of the chain. Locally all other locations remain open. When the signs go up on local vacant storefronts for the Spirit Halloween chain you know fall is near. And as I write this it's still obviously Summer, but the Spirit signs are now up around Spokane and Coeur d' Alene. And those stores are also now hiring, information on jobs with Spirit in our area is at the bottom of this post. Aug 23rd is the opening game for Eastern Washington University Eagles Football. That game will be on Saturday versus Sam Houston State and WILL be aired on ESPN, something that doesn't happen every day for the City of Cheney,Wa. In addition to game coverage on the national cable sports channel, some extra coverage and events will be happening nearby the stadium over in Downtown Cheney. 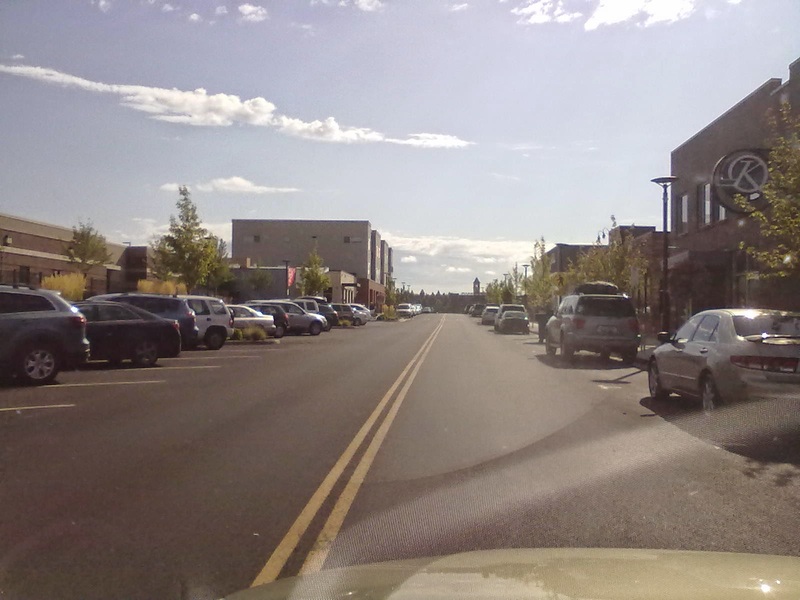 If you own a business in Downtown Cheney or even just want to come out a support the great local businesses that dot Downtown you'll defiantly want to check out all of these happenings. Join the Cheney Merchants Association at a Downtown Cheney Tailgate party, and help us promote Cheney on National Television. Colin Cowherd with ESPN will be Downtown Cheney. 1st Street will CLOSED to traffic from Farmer's Insurance to the Mason Jar. Local restaurants will be offering a "Red Special" breakfast and drink specials. Drawing for two tickets to the August 23rd game. The City of Cheney is renaming 1st Street ESPN Avenue for the day. All Cheney businesses are encouraged to decorate their windows and buildings. Just like many other big chains right now, Grocery Outlet is planning to increase their presence in the Spokane and Coeur d' Alene area. The Berkley, CA. based chain of discount grocery stores will soon open a new location in Spokane Valley. The Spokane Valley Grocery Outlet store will be located in the same shopping center as Value Village by the intersection on Sprague and Pines. The new store's address will be 12115 E. Sprague Ave. The new Spokane Valley Grocery Outlet will have about 14,000 of sales floor space. And on that sales floor will be all the regular grocery departments including grocery, frozen, etc... . This location, as with Grocery Outlet as a whole sells their merchandise for often way less then a traditional grocery store like Safeway or even Winco . They do this buy purchasing overstocks, closeouts and the like. The new store will be staffed by around 20 - 30 employees, which will be new jobs for the City of Spokane Valley. The opening date for this new grocery store will be Sept. 18th at 8am and a official grand opening will follow on Saturday Sept. 20th at 8am. North Spokane - 7810 N. Division St.
East Central Spokane - 4210 E. Sprague Ave.
Coeur d' Alene - 410 W. Neider Ave. The Spokane franchise of the HobbyTown USA chain has moved and is now open in a new larger and perhaps more noticeable location. But even with the move, the store is still in North Spokane and in fact just a short distance from their old location. HobbyTown USA was located in a shopping center directly at The Y, but can now be found at 9632 N. Newport Hwy in the Northpointe Shopping Center. The new location at Northpointe has much more space for selling their merchandise which includes products for most any hobby including RC cars, gaming , model railroading and much much more. Also the store has a variety of science and educational products. And as we mentioned HobbyTown USA sells products for gaming and has had a gaming area before but now with the new location the store has added a second in-store gaming area. One area for tabletop games and another for sitting games like Magic the Gathering. This new store opened back in the middle of July and has since enjoyed much success at the new store. Store owner June Hobson even tells me that about half of the customers coming thru the front doors since the move, have been new to the store. The new HobbyTown store also did create a few new jobs for Spokane. The business has hired on 4 new employees and is still hiring as of writing this. HobbyTown USA is franchised chain of stores that was founded in the 1980's . This location is the only location in the Inland Northwest, however other stores can be found all around the nation in addition to online shopping on the companies web site.
" We will open our doors again tomorrow. Our new address is 14401 E Sprague Ave Spokane Valley, next to Once Upon a Child across the street from Rockwood clinic. Thank you for all the wonderful, loving and encouraging messages many of you left us in the past few weeks.I didn't expect that. Your love, compassion, kindness and support towards me (Monica) and my business has been incredibly amazing and has always given me the desire to continue on growing. I couldn't ask for better customers and friends. I miss you and can't wait to see you all at 8am tomorrow Wednesday the 13th!!... Let's get baking!! " In it's few years of operation Love @ First Bite has gathered a good sized following, including this blogger. The new location will be larger and is remodeled and completely redecorated, we have yet to see the store in person but are sure this new location will be a great addition to Spokane area's bakery scene. Love @ First Bite Desserts specializes in cupcakes, with many flavors made fresh daily. In addition the business also does custom cakes and some other delicious sweets. If your following along with us here on Inland Northwest Business Watch, you've noticed the news we posted earlier today about the site plan for the new Sportsman's Warehouse project in North Spokane. 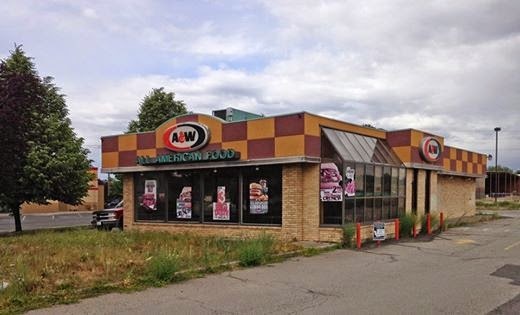 And while all that news is exciting and shows promise for that kind of depressed, formerly abandoned commercial site. We actually have even more news for the same neighborhood as another long term vacancy is about to be filled. This new location also has a filed liquor license for beer and wine sales. Bruchi's also operated a location in the same neighborhood near the Franklin Park Commons shopping center. That location went out of business late last year and has since re-opened as a independent Philly fast food restaurant called Phillylicious. The new Bruchi's will be opening or about October 1st. Recently I read an article in this week's Inlander about Monkeyboy Books, a locally owned and operated bookstore in Downtown Spokane. Spokane has been home to a Fleet Feet Sports franchise location for a little over two years now. And since then the Spokane location has been among the busiest in the entire chain. So, it only makes cense for yet another Fleet Feet to open in Spokane area, this time in Spokane Valley. The new Spokane Valley Fleet Feet Sports will be operated by locally based franchisees Wade and Julie Pannell who also own the Spokane store. That location can be found north of Downtown at 1303 N. Washington. The new store is tentatively scheduled to open in September in the Evergreen Crossing Shopping Center. The business will occupy a little less then 2,000 square feet in the plaza at 13910 E. Indiana Ave., which is just west of the Spokane Valley Mall. The Spokane Valley Fleet Feet Sports will be very similar to the other locations within the 100+ store chain. Fleet Feet stores focus on fitness and running though training programs, education along side retail sales of apparel and accessories . A small group of new jobs will be created by the new location. This is the only planned expansion for the chain in the Inland Northwest at this time. Fleet Feet Sports also has a franchise location in Downtown Coeur d' Alene at 511 E. Sherman Ave. which is also quite popular, especially around the Ironman time of year. An official groundbreaking ceremony is planned for Monday, Aug 11th for the one of the newest industrial parks in Spokane County. Marketed as one of the most cost effective industrial land sites in the entire county, The Deer Park Business & Industrial Center will soon open to many new tenants that will also bring many new local jobs. The Deer Park Business & Industrial Center will offer 144 acres of land available for sale along Crawford Ave on the eastern side of Deer Park, north of Spokane. The first phase of construction at the site, which is being kicked off by the groundbreaking, will be infrastructure for the businesses that will one day call the center home. Included in the new infrastructure will be a "all weather" road , sidewalks, water and sewer , lighting and all other utilities. The infrastructure improvements are being paid for, in part by a grant from the US Dept. of Commerce Economic Development Administration. Currently there are no announced tenants for the center however land sales have already begun and the land is shovel ready. Also a recent press release from Greater Spokane, Inc. mentions that there is at least one company ready to build in the center upon completion of the infrastructure construction is complete. The official groundbreaking ceremony will be on Monday August 11th at 2:30 pm at 2800 E. Crawford Ave in Deer Park. In addition to many local officials, Rep. Cathy McMorris Rodgers is expected to be in attendance. For those of you who are new to this web site, it's a hobby of mine. I spend a portion of my day working on this site most every day. But, we have been lucky lately, with way too many new businesses and development projects for me to ever get to. So, because of this, I'm starting this new feature where I, at least, mention all the potential stories on my radar. Some may make it to the site soon but probably not all. Site plans have been located for the project that will soon be anchored by Sportsman's Warehouse in North Spokane. Renovations are coming to create new office space / look at 915 W. Second Ave. in Downtown Spokane. Mod Pizza is coming to Spokane. The Ridpath Annex building has been sold and will soon be renovated for Washington Trust Bank. The bank will use the space for offices. Sacred Heart Hospital is planning an expansion. Associated Painters has opened it's new second building at Spokane International Airport. Creating many new local jobs. Corkhouse has opened in Liberty Lake. A historic building on the eastern edge of Downtown Spokane has been converted to apartments and ground floor commercial space. One of many new renovation projects Downtown. A paddleboard business has opened up on Liberty Lake, in Liberty Lake. A new cannabis club is opening in the former Ringo's Casino in Spokane Valley. Activewest Development is opening two new subdivisions in Coeur d' Alene. Both, by Riverstone. 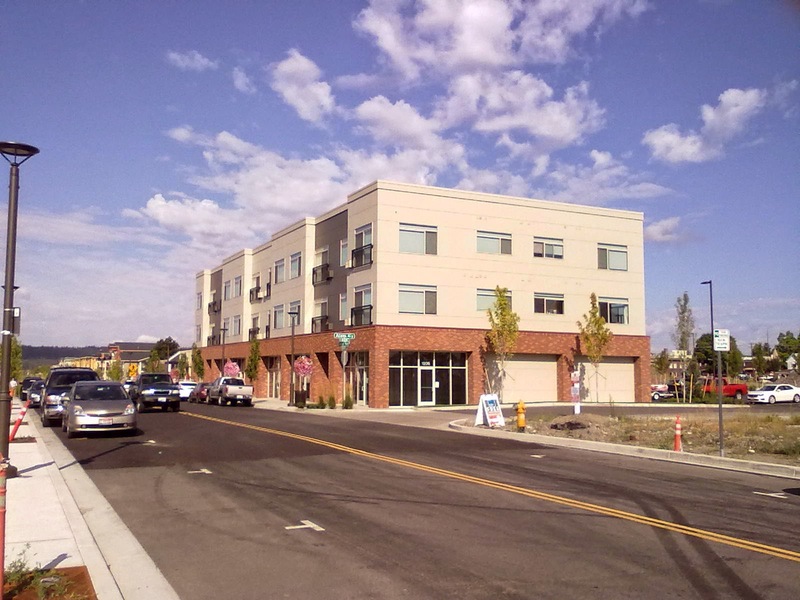 Lots of new apartments are opening soon in and around Riverstone in Coeur d' Alene. Post Falls Auto Auction, an auto auction that's open to the public has opened for business in Post Falls. It looks like David's Pizza will be moving into the former Wonderbread Factory at 803 N. Post after all. Lot's more new business openings and closings! You may have heard of Books Are Fun, for their many fundraising book and gift fairs held in schools, companies , hospitals, etc... through out the nation. But now Books Are Fun has brought some of those great sales efforts to a new retail store that opened recently in the Spokane Valley Mall. The new store in the mall is named Imagine Nation and is operated as a division of Books Are Fun. The store is operated by long time Books Are Fun reps and will not diminish their efforts with the book fairs they hold. If anything the new store may increase this end of their business due to the added awareness by the public of the Books Are Fun company. Imagine Nation, in Spokane Valley Mall sells much of the same merchandise as the Books Are Fun book and gift fairs. Included in the store is books, gifts and even games, most of which are educational in nature. The merchandise is very friendly the teachers and parents alike looking to inspire and interest the younger generations. In addition to having even a few items for the young at heart generations. Imagine Nation at Spokane Valley Mall is open the same hours as the rest of mall. The store is at the bottom of the escalators nearby Macy's and the Azteca Mexican Restaurant. As you may recall we recently ran a posting on this site about a large national party supply chain opening 2 locations in the Spokane area. And while that news is good for the local economy and job market. It's nothing, to me, in comparison to hearing of a project going on now to expand Party Palace, a locally owned and operated party supply business on N. Division. Party Palace is expanding their retail sales floor further into the store's warehouse space, adding a new 24' x 15' space to stock new merchandise. The new sales floor space will even allow the business keep their costumes out and for sale year round. As I write this, Party Palace, is already stocking up their shelves in their new sales floor area. They hope to have the new section open and ready sometime around the middle of August. Party Palace is located not far north of Downtown Spokane and also close-by the University District. The store can be found at 2607 N. Division St. where they stock products for almost any kind of party or event you may be having. In addition, shoppers we also find home decorations, greeting cards, costumes , gifts and much more. And, as mentioned before the business is 100% local. In fact the store is local family operation with over 26 years in the business here in Spokane.